SECOND POST – AUGUST 17, 2012 – SYRPER OBJECTS TO ARREST OF MICHEL SAMAHA AND DEMANDS HIS IMMEDIATE RELEASE. SYRPER CALLS UPON ALL MILITIAS IN LEBANON TO JOIN IN SECURING HIS RELEASE. In a clearly American-orchestrated hot-air operation, a Lebanese security bureau known for anti-Syrian leanings has acted upon a bogus warrant for the arrest of Lebanese patriot, Michel Samaha. Two indictments were also issued for Lt. Gen. Ali Mamlouk, recently made chief of Syria’s National Security Council, and Colonel Ali Adnan, an officer in Syria’s Military Intelligence Bureau. 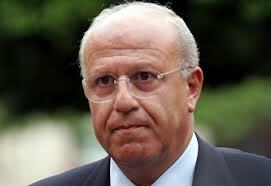 Michel Samaha is a trusted and loyal friend of the Syrian people and government. His arrest will bring much misery to Lebanon. It will bring even more misery to the United States. In what is clearly an American-inspired move, SyrPer began investigating how a Lebanese security organization with negligible capabilities was able to develop any case against M.P. Samaha. Here is what we learned: Samaha does not communicate with Syrian allies by telephone or e-mails other than for pleasantries. He makes the one-hour trip to Damascus each time in order to discuss matters of interest to both Lebanon and Syria. Our source in Beirut who, in all fairness and with a complete sense of responsibility, cannot be mentioned by name, informed me that American intelligence produced alleged transcripts of Samaha’s conversations with certain Syrian “actors” which led to the arrest and indictments. The transcripts are doctored. According to my source, even the agents who arrested him and who were part of the investigating team had to admit that Col. Ali Adnan’s voice pattern did not mesh with his coastal Syrian background. It is a bad case for the Lebanese government. But that did not stop perennial camera-hog and bloviator, Walid Jumblatt, from weighing in with his usual rash of poppycocked folderol. Joining the calls for “expulsion” of the Syrian ambassador (which will not happen), he demanded further investigation into this “outrage”. Our readers are very familiar with the vacillating, mercurial, unstable, manic and schizo Jumblatt. He has never had one single position for more than one month. This is Walid in one of his many incarnations. 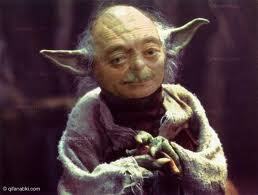 Here, he is a Jedi knight and fighter for the rights of Druze villagers on the planet Zontar Minor. This deliberately provocative act by the security services in Lebanon necessitates a response from all persons of Lebanese citizenship who support fraternal relations between Syria and Lebanon. If he is not released immediately, SyrPer predicts an upheaval in the country that will trigger an inevitable spiralling into civil war again. Pro-American and Pro-Saudi politicians must be held to account for this treachery.